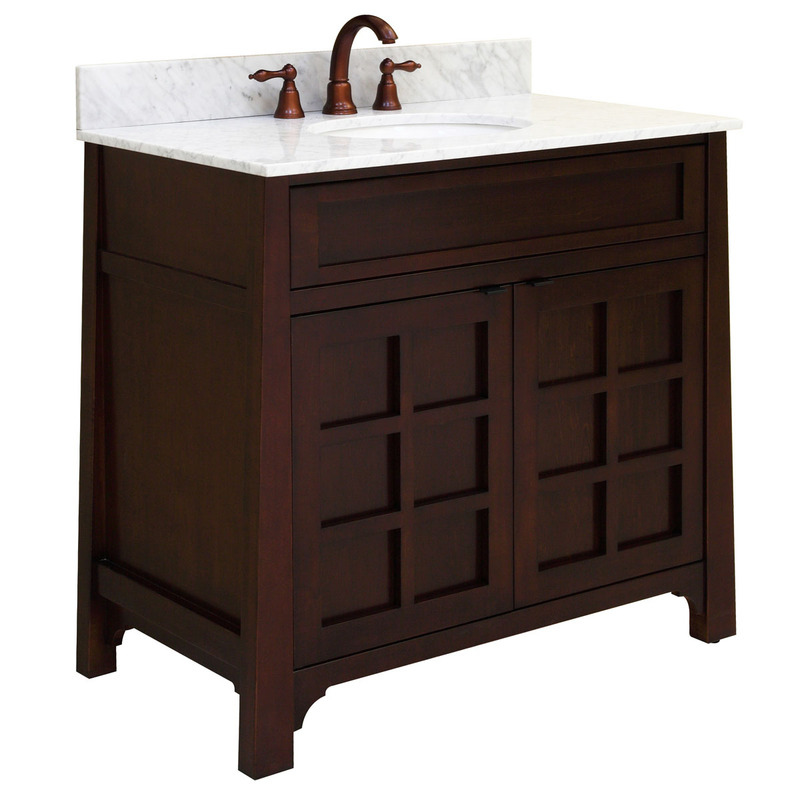 Put together contemporary flair with that of traditional American Shaker style and you get the remarkably sophisticated 36" Parkdale Single Vanity. 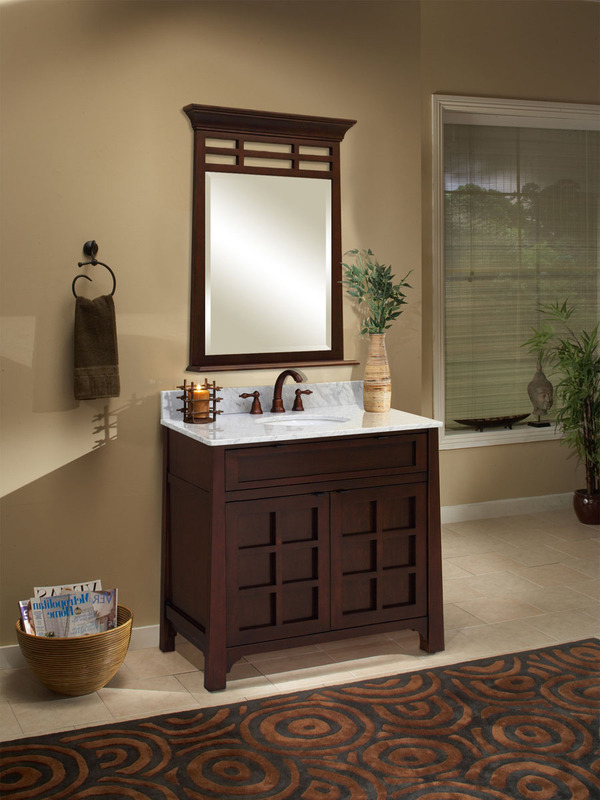 Featuring a beautiful inset frame design with cabinet doors that have interchangeable inserts, you can choose to give your new vanity a more modern look with the glass insert or more traditional with the wood panel insert. 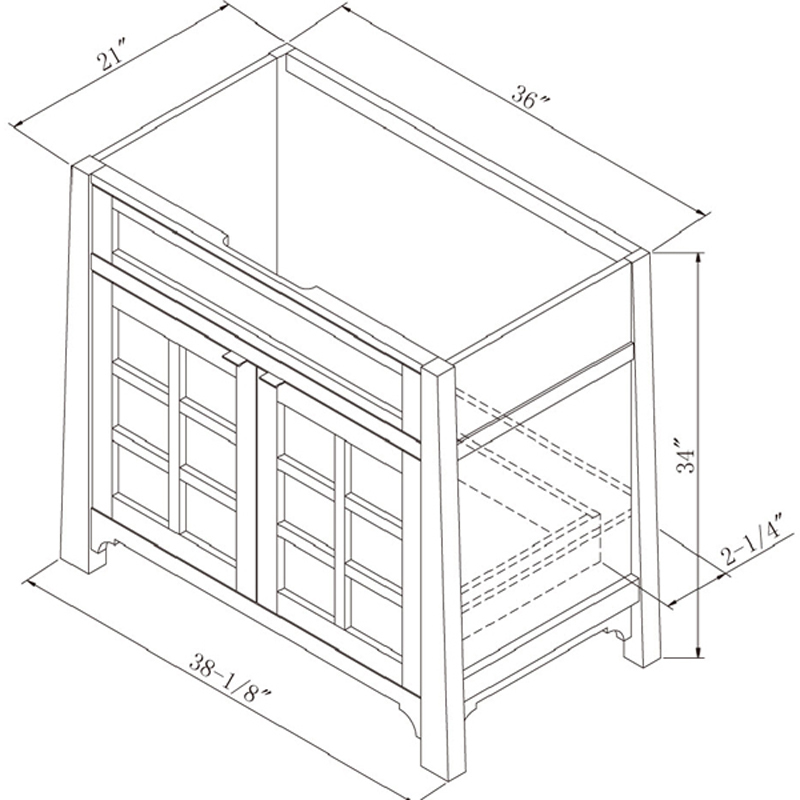 The top drawer is made from solid wood and is equipped with full-extension slides for enhanced durability, while the cabinet doors features a soft-closing mechanism that opens up to reveal a hidden drawer for more storage space. 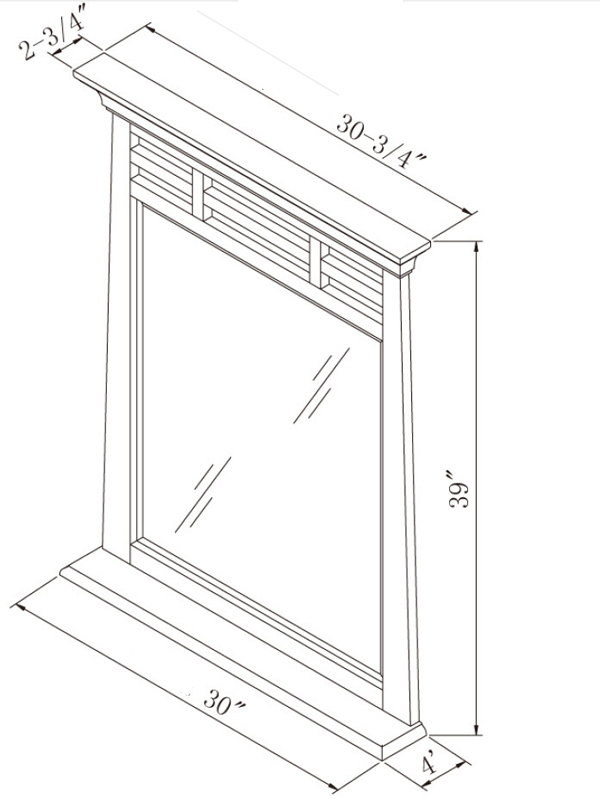 The tapered legs lift the Parkdale off the floor and feature levelers that allow you to adjust the height. 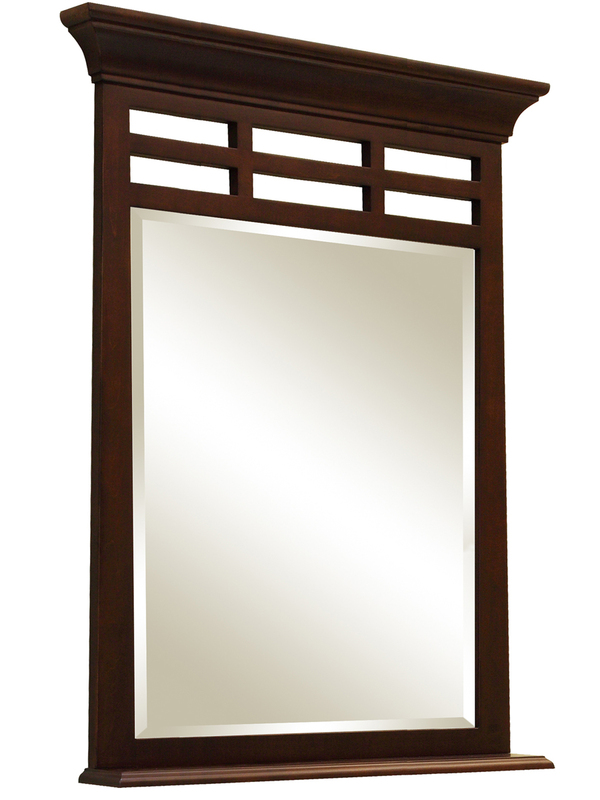 Give your new Parkdale vanity a completed look with its matching mirror, featuring a beveled mirror with a dramatic crown top and accessory shelf. 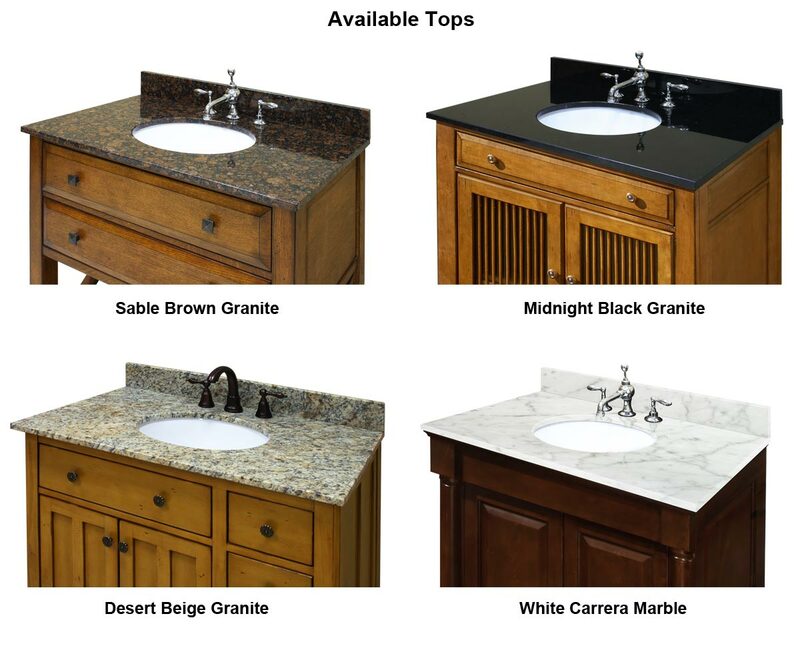 Four top optoins are available for your new vanity. Each top option is pre-sealed and pre-polished to a smooth finish and is includes a pre-mounted undermount white ceramic sink!